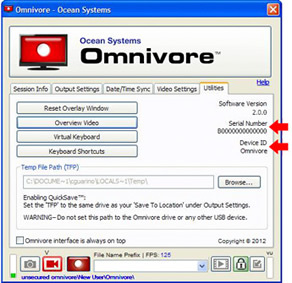 The Omnivore™ serial number and device ID are located on the Utilities Tab. When submitting a download request form, enter your Device ID. Note: If your Device ID = “Omnivore” provide your Serial Number instead.